We are a leading Manufacturer of ball nose cutter from Mumbai, India. Our organization is counted among the most prestigious manufacturer, trader and supplier of Ball Nose Cutter. Our offered nose cutter is provided in numerous sizes as per the needs. 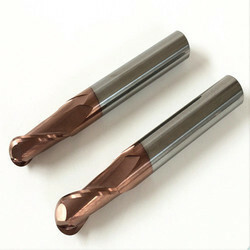 This nose cutter is used in CNC machines and dye sinking machines. Offered nose cutter is precisely designed with utmost care by professionals. We are giving this nose cutter to our customers at very affordable rates. Looking for Ball Nose Cutter ?